My latest book crush is on Alan Morinis’s Climbing Jacob’s Ladder. If you are a bibliophile, you’ll know what I mean: It’s that feeling you get when you finish a book and all you want to do is buy 5 used copies to hand out to people. You talk about it and think about it. You want to revisit it again and again. In the past, I have felt this way about a few books: The Chronicle of a Death Foretold, comes to mind, as do Power Bentching by Rabbi Moshe Meir Weiss, and Anger: the Inner Teacher by Rabbi Zelig Pliskin (I admit to eclectic tastes). Climbing Jacob’s Ladder combines memoir and how-to guide in an unusual way. This outstanding book details Morinis’s pursuit of self-awareness and -improvement through the tools of Mussar, an ancient Jewish strategy for character refinement. Unique among Mussar books, this relatively slim volume assumes little prior knowledge of Judaism, and is usable for non-Jews, secular Jews, and even those Orthodox Jews who are not already thoroughly immersed in the world of Mussar. Among self-awareness literature, Climbing Jacob’s Ladder stands out because it is practical, not touchy-feely or new-agey. I also very much appreciated that Jews and non-Jews of all stripes are portrayed with insight, a lack of judgement, and great sensitivity. For those new to Jewish thought and philosophy, this is a must-read. Is there a book you’ve had a crush on recently? I want to hear about it, particularly if it is a Jewish book! Please share the details in the comments. 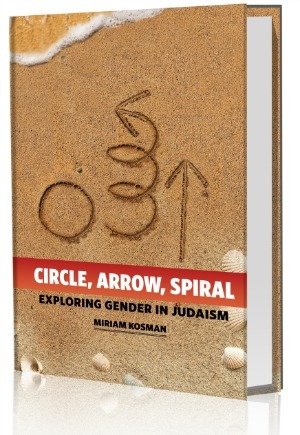 I got a little distracted at the end of November, and I forgot to post about my most recent book review for Jewish Home Los Angeles. It’s of Claudette Sutton’s Farewell, Aleppo, and it will interest readers who like reading about the Jewish American Experience, as well as those whose families originate in Syria or other Muslim countries. You can find the review here.